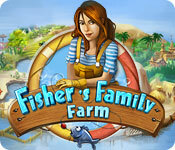 Fisher's Family Farm is rated 4.7 out of 5 by 16. Rated 5 out of 5 by Pucktweety from Brilliant game! 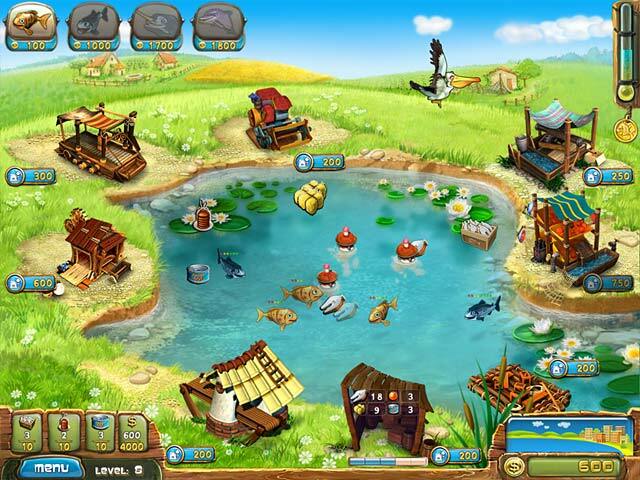 Akin to 'Farm Frenzy' but with a lake and fish instead of the general farm animals, this game is, in my opinion, much more fun than the average TM game. The graphics are good, I paid no attention to the story to the point where I'm not even sure it had one but it was a great game none the less. I'm currently attempting to get gold in all levels and that is a very, very challenging thing. Although I come close in so many, I find that the harder levels require many, many hours of practice to finally get gold which means you get hours, and hours of fun (and hair pulling) so this game is great value for money and made me very happy! Rated 5 out of 5 by tazou9771 from Great game Its a great game to have fun. So I would Recommend this to anyone. Rated 5 out of 5 by Marcum from Worth the money Good graphics, smooth play style, and keeps you hooked. There is alot of content to this game, this is another one I have on my pc and iPad. Beat a level, and keep redoing it till you get gold, or continue on into the game. There is plenty of levels waiting on you. Rated 4 out of 5 by greatgames4women from Highly enjoyable Fisher’s Family Farm is a fun, highly enjoyable game that will literally steal time from you. I played this on my iPad and was left wondering, “Where on earth did the time go?” The game has great graphics, funky music and quirky features. I literally couldn't put it down until I had gone through the entire game. Rated 3 out of 5 by Sannara from Clickfest I generally like this type of TM game, and I like the Farm Frenzy series that all the other reviewers mention, however this just feels like too many clicks from the early stages. I played 8 /10 levels of the first location. 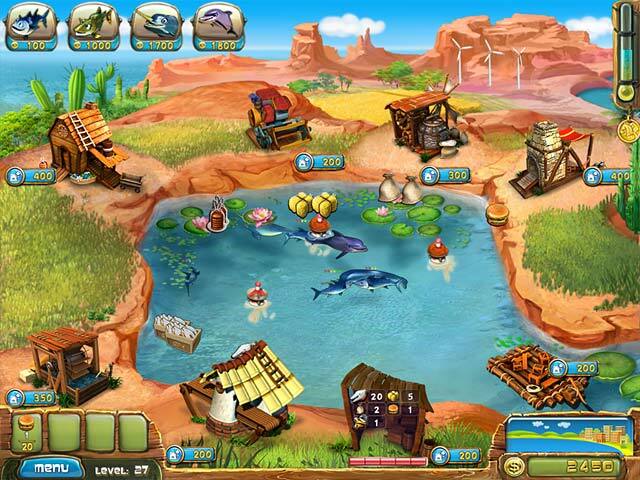 My specific complaints: *You need to click on the water to feed the fish, but if you miss picking up the fish products, you accidentally feed the fish and then when they're hungry, you can't figure out why you don't have food in reserve for them. *Helper fish show up, but you have no control over it - they're not upgrades, there is no explanation of where it came from and no selection process, even if you don't like that type of help. *Every single upgrade, even when you're on level 8 and have upgraded this type of building several times, has a popup that explains the effect of the upgrade and requires an extra click. Rated 3 out of 5 by EnvirEng from Some levels were way to difficult Normally, I love time management (TM) games, but I didn't like this one. Finished it, though. Graphics are fun and good. Music isn't annoying. The story is a throw away, but what do you expect. Basically, you travel around the world running fish farms, making products and sending items to market. You can buy and upgrade houses to make other products and if you click on the houses, they produce items faster. You also have to protect your fish from predators (pelicans, sharks#. There are five locations #I think) and each as about 10 levels. So, there is a lot of game play. You can take as long as you need to finish each level, but, if you finish quickly enough, you get a gold medal. Apparently, there is a second, shorter, goal. You can win trophies for your accomplishments. In short, this game should be wonderful. Things I didn't like. Normally, levels get more difficult as you progress, but that did not seem to be the case. I hit two levels early in Japan that I had to replay more than 20 times to get gold. The final level is pretty easy, although there are plenty of predators. As I said, I found some of the levels to be very hard. Too hard, for me. A few items, like the fish burgers, take many, many steps to create. You need to collect the fillets and send them to a building to be processed. That goes to another building to become fish patties. You also need to collect hay and send that to a mill to get flour. Then the patties and flour go to a building and you get a fish burger. While the transfer of materials from the warehouse happens automatically, it is still a lot of steps. This game requires a LOT of clicking. If you have the money, you can buy a dolphin to pick up items. But, there is still a lot of clicking. You need to click on houses to start them. You can click repeatedly on houses to make them work faster. 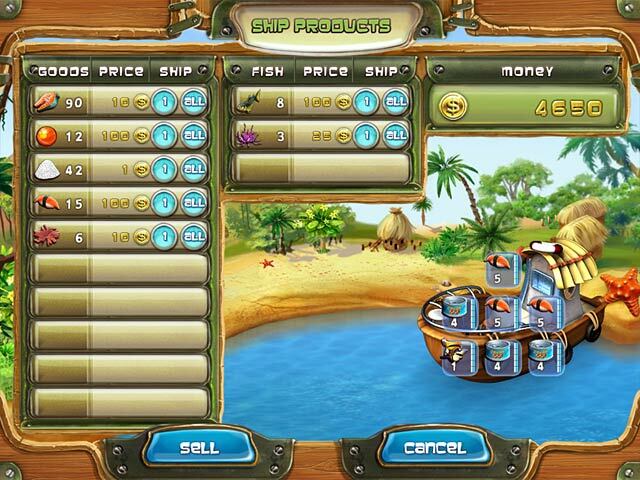 You need to click repeatedly on predators that make it into the pond and you can click on flying pelicans to get money. If you are like me and love TM games, give this one a try. You might like it, but I can't recommend it.